If you visit the town of Marble this summer, tucked into the woods right off the main road, you'll notice a flurry of marble dust, the roar of power tools, and over 60 artists working on marble sculptures. This is the MARBLE/Marble Symposium and Joshua Weiner, a professional sculptor, has been actively involved for 23 years. Weiner discusses the culture of the organization and the easygoing nature of the symposiums, and how his time spent with the symposium has transformed his own work. Learn more about the MARBLE/Marble Symposium at www.MarbleInst.org. Credit Cornelia Carpenter. 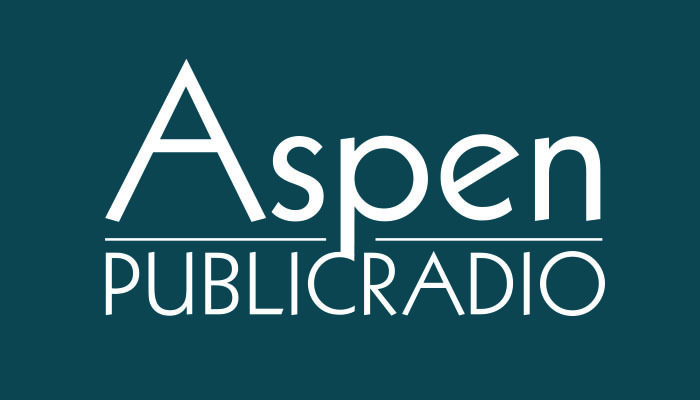 Aspen Public Radio. Madeline Weiner is the founder of the Marble Institute of Colorado, a non-profit organization that runs the MARBLE/Marble Symposium in Marble, Colorado. Founded in 1989, the symposium draws professional artists and hobbyists from around the world to the town of Marble every summer. Weiner shares the history of the organization and the art of stone carving. Angie Callen, executive director of the Red Brick Center for the Arts, discusses the art center's recent success and her vision for the future. Learn more about the Red Brick Center for the Arts at www.AspenArt.org. Lorraine Davis is a resident artist and teacher at the Red Brick Center for the Arts. She's been involved for almost four years, and shares her excitement for the art center's recent evolution. Davis is joined by painter Sue Tatem, who has been taking art classes at the Red Brick for almost two decades. The Red Brick Center for the Arts offers Life Drawing, Still Life Painting, and Masterpiece Mine classes every week. Find class listings and events at the Red Brick Center for the Arts at www.AspenArt.org. Angie Callen is the Executive Director of the Red Brick Center for the Arts. She discusses the Valley Art Auction, taking place at the Red Brick Center for the Arts in Aspen on Tuesday, January 19th from 4 to 7 pm. The auction will feature local art at all prices points, and food and entertainment will be provided. Go to www.AspenArt.org to learn more about the Red Brick Center for the Arts and the Valley Art Auction.